Hi Crafty friends, we certainly have another warm week ahead of us, but we did have a small break from the heat and the garden got a nice watering. 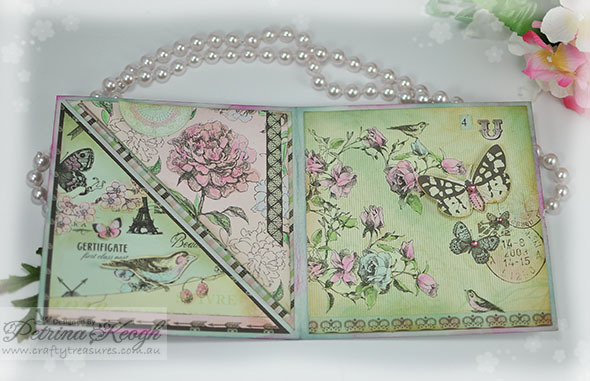 Today I have a Twisted Easel project, with a little surprise for you! 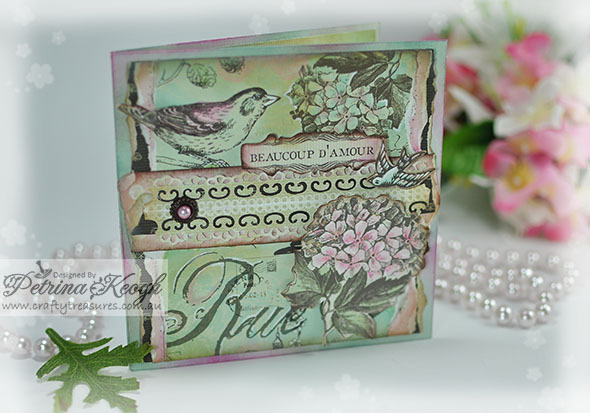 I used Kaisercraft – Bonjour Collection throughout this project. 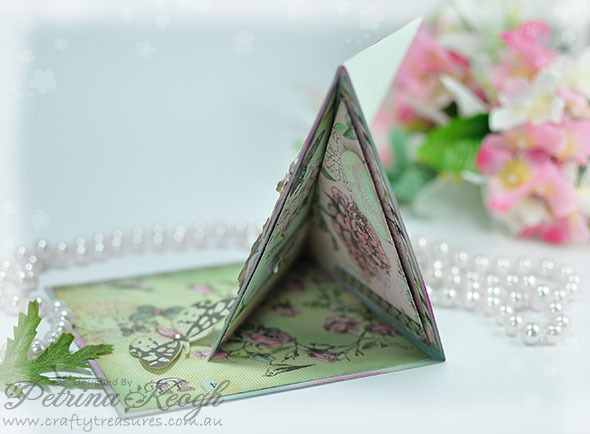 I thought this idea/project would expand the design of a normal Twisted Easel Card and allow more versatility as far as writing your lovely greeting message. This is a view of it propped open for display…..
Oh I couldn’t resist doing something a little quirky, so I cut the wing and wrote the wording “tweet” just under the wing! What’s that hiding in there? Here is the surprise part of this project, the next few pics will show all. The top right hand side of the first half (the panel with the large pink flower), I made a explosion panel so when is is opened……. 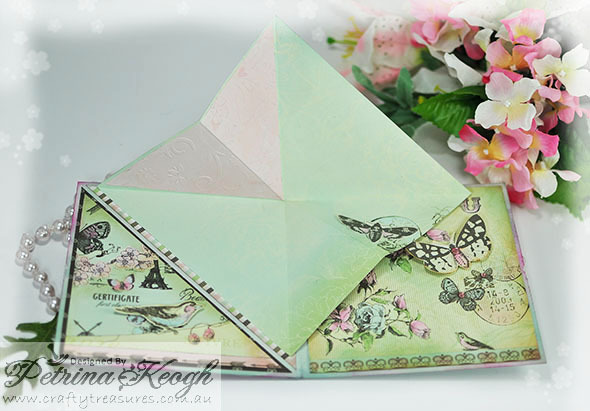 You have somewhere to stamp or write your message. I made a quick basic tutorial for this technique, which can be found here. 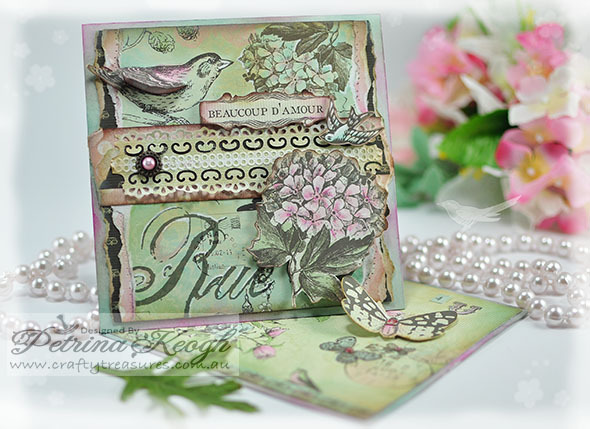 Petrina, this is such a gorgeous card, with the added plus of being a twisted easel card. 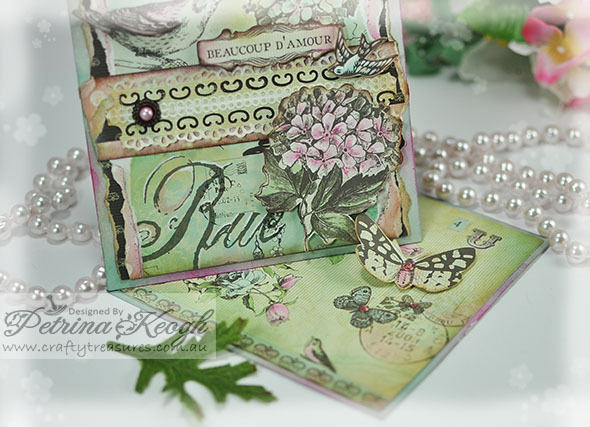 Beautifully done, and I love the tutorial! Thanks for sharing!! !